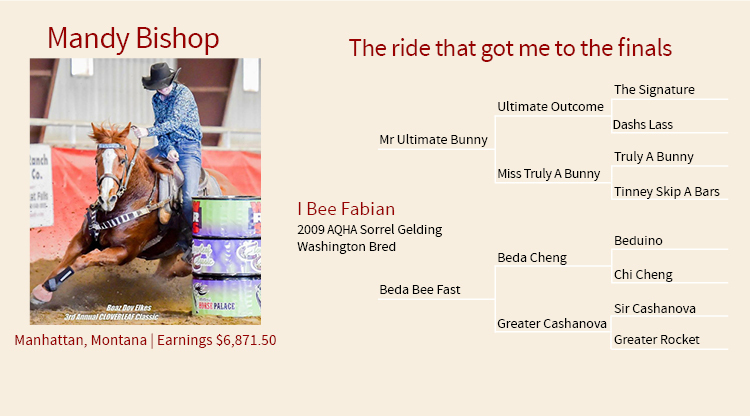 What is your horse(s)' style when running barrels? What special qualities does your horse have and what makes him/her unique? His personality is unique, a little bit like a 3 year old boy! We call him Ubee . . . U be good, U be nice, U behave. He is gritty and always tries. He is very push style. What is your favorite part of barrel racing and the rodeo lifestyle? The adrenaline of the competition and the people, I like the comradery and how competitors support each other.